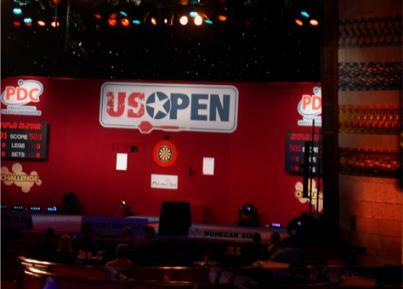 This multicamera event featured the best dart athletes from England and the US for this BBC TV show. 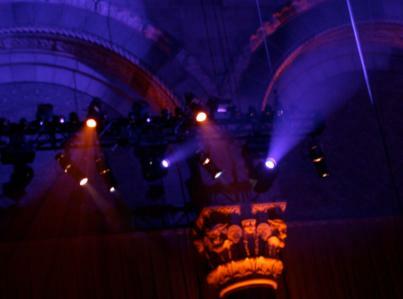 I could never tire of this Cipriani's venue near Grand Central Terminal. 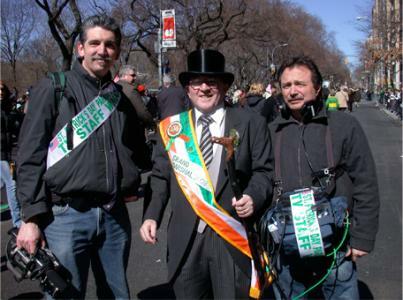 We marched right up to 5th Ave. at the head of the NY Saint Patrick's Day Parade to shoot a feature on Grand Marshall & Soccer broadcaster Tommy Smyth for ESPN Int'l. 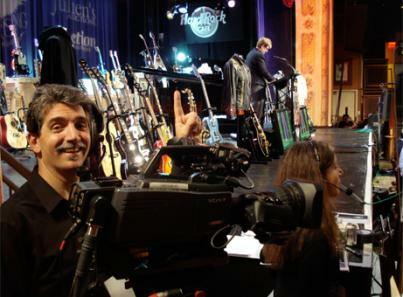 Pictured cameraman Walter Ortoleva, Tommy Smyth and Sound Rich Tropiano. 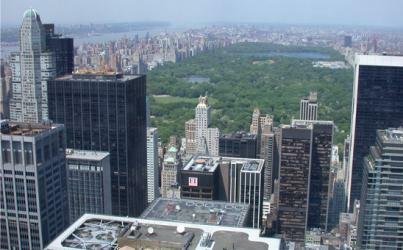 Central Park and the high priced hotels that surround it. 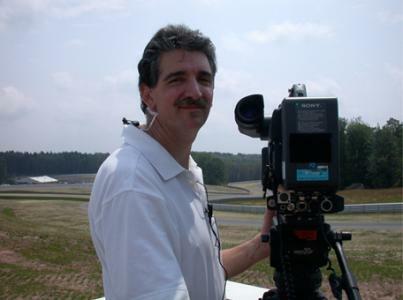 Opening day at this private race track which caters to celebrities and the wealth who want a place to race their cars. 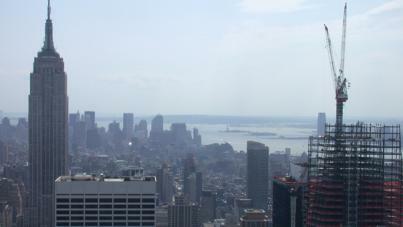 From Rockefeller Center you can see the Empire State and the Bank of America building going up. 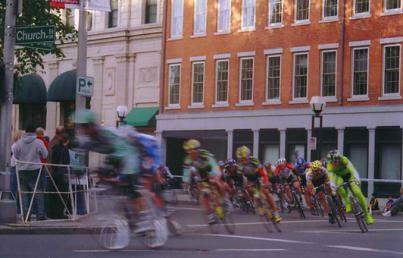 Bikers fly around the corner in downtown New Haven. 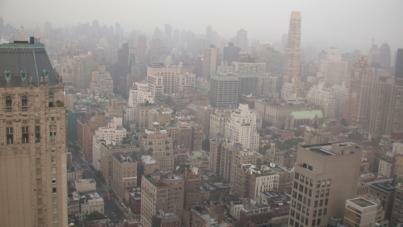 As seen from the Este Lauder HQ looking north toward the upper East Side of Manhattan. 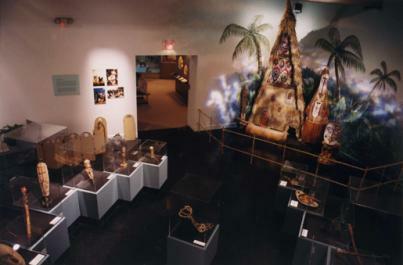 Designed and installed specialized lighting for New Guinea art collection. 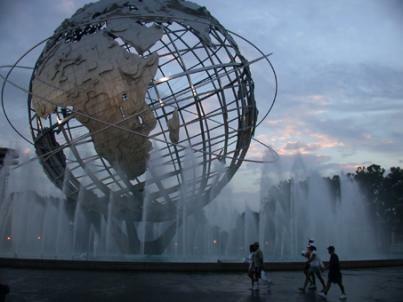 Peabody Museum, New Haven, CT.
Sunset at the Unisphere after a day at the Tennis US Open. A long day at the NCAA tournament press table. 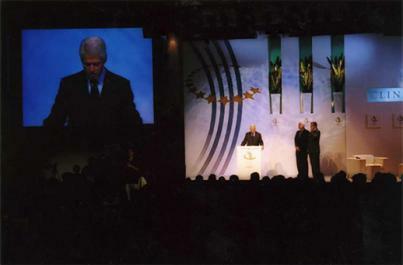 President Bill Clinton motivates countries, corporations and individuals to give to the Clinton Foundation. 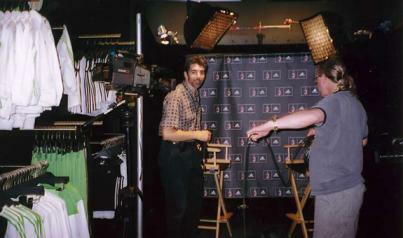 Setting up for a two camera interview in a tight space at the back of a store. 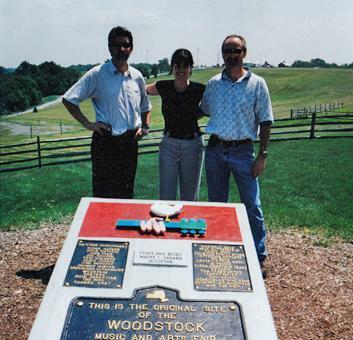 Working nearby Dina, Mike Z and I couldn't resist taking a diversion to the hills made so famous. 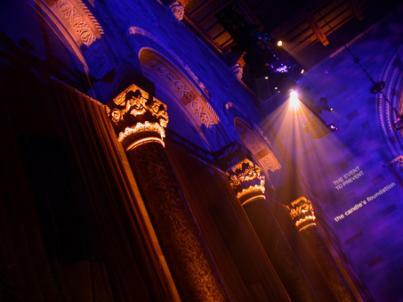 This was a former Bowery Bank converted into an event hall. 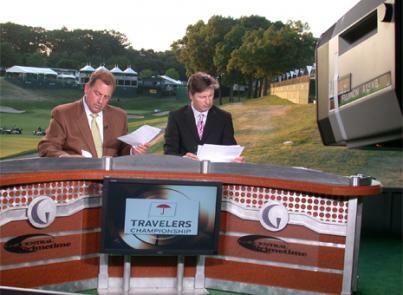 Talent prepares for a live hit from Golf Channels Studio overlooking the 18th Green at Travelers Tournament Connecticut. 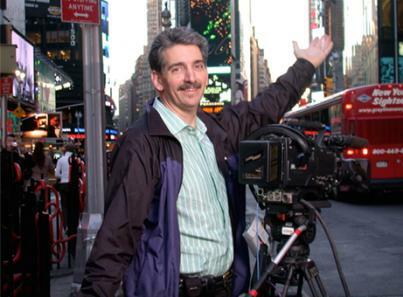 Another shoot in Times Square. 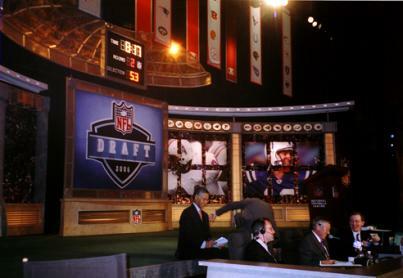 Shooting from the foot of the stage at the 2006 NFL Draft. 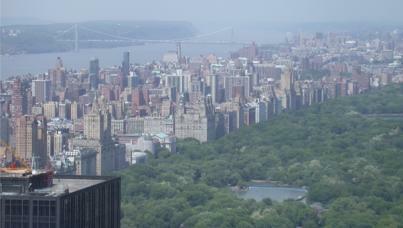 The Upper West Side and the George Washington Bridge in distance. 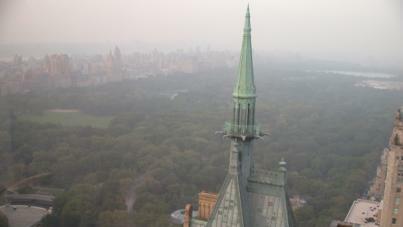 Early morning fog has yet to lift as seen from 68 floors up looking north west across Central Park. 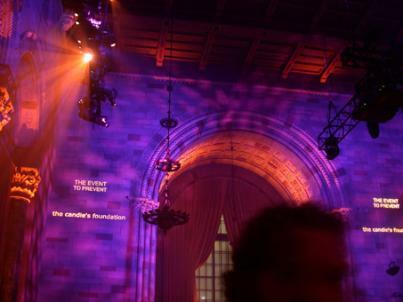 The lighting simulated moving dappled light found deep in the jungles of New Guinea. 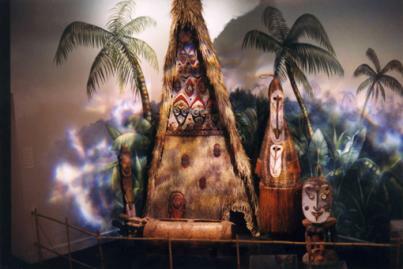 Lit the exhibit with native music and jungle sounds. 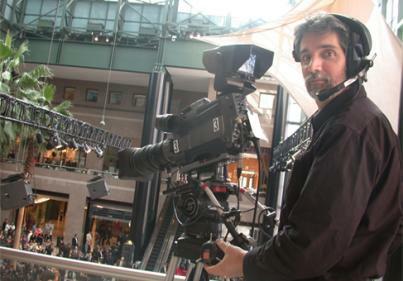 Live Performance of the touring Italian National Orchestra at the World Trade Center site. 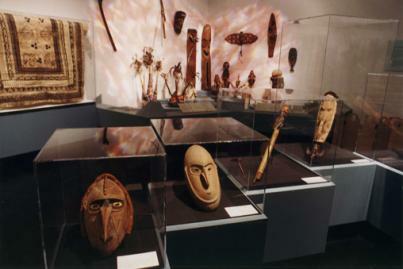 Lots of rare well preserved hand carved wood masks. 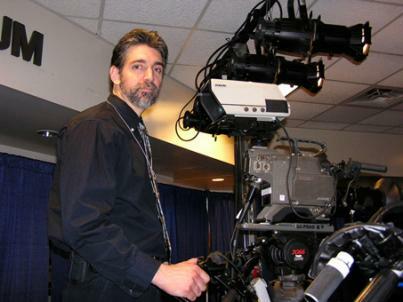 A French TV Network used this glass enclosed balcony overlooking 42nd Street in NYC to broadcast the results of the 2008 US Presidential Election. 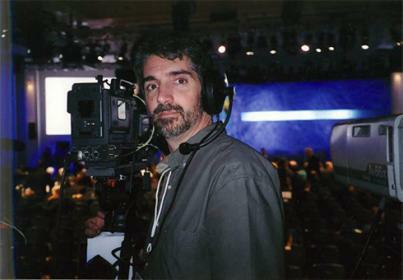 Center camera for C-Span live coverage. 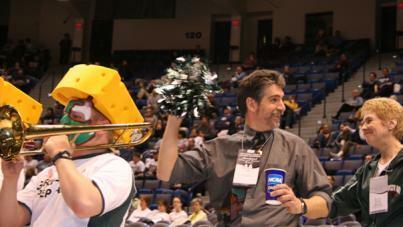 Caught cheering with the Wisconsin cheese heads. 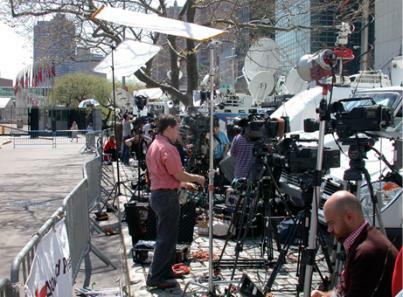 Waiting on press row for something to happen at the UN in New York City. 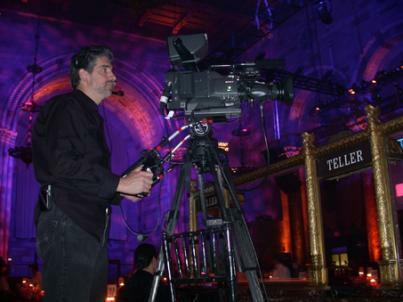 Ready on camera for a $10,000 a table dinner fund raiser featuring Jackson Brown as the entertainment.